Moving out of a home is never fun. But it comes with its own set of challenges when it’s a place that you rent, that belongs to someone else. If you want to move out of your apartment in a stress-free way, the following guide will help. These tips will ensure that the move is as successful as possible and increase the chances that you get your security deposit returned, so you can simply enjoy and invest in your new home. Unless your lease specifies something special, you’ll need to return the walls in the apartment to the state that you found them in. So, take down any paintings you’ve hung and use spackle to repair holes. 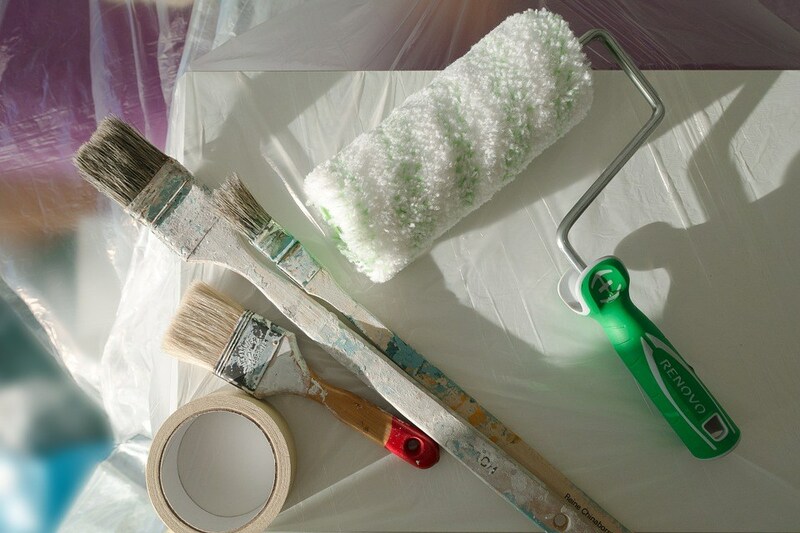 If you painted walls a color that is different from their original color, repaint the walls to their original color. Find any other wall, ceiling, or floor damage and fix that, too, to help you get your security deposit back. Your landlord wants to find your apartment in move-in ready condition (even though they’ll have a cleaning service come in for the next tenants). So, spend time doing a really deep clean in the home. Clean the shower or tub, scrub the fridge, take out trash, and mop all of the floors. Leaving a clean space also ups the chances your security deposit will be returned with no questions. If your building has an elevator or service elevator, you may need to make a reservation to use that elevator for your move. Consult your lease, property manager, or building super to find out what reservations or appointments are necessary. You may also need to present the owner of the building with your moving company’s insurance information, so be sure to prepare that, too. On busy city streets, it can be tough for movers to find a place to park that is close enough to the door. Do some research in advance so that you can guide your movers to a spot that makes sense. The movers at Delicate Moving are always willing to be flexible and park in the spot that works best for your apartment and building, so if you’re moving in the bustling Dallas-Fort Worth area, we’re your moving company. If you’re ready to start planning your move from your current apartment, get in touch with Delicate Moving, and we’ll give you a free quote for a move today!